Geography is not an indoor sport! Get out and explore New York State! 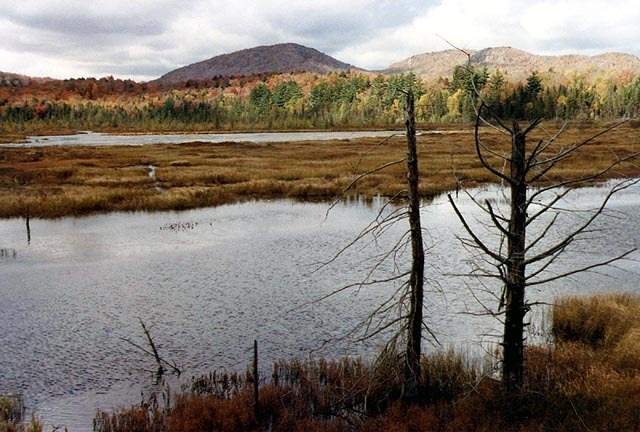 The sparest region of population in New York are the mountains (Adirondacks and Catskills) and the Tug Hill Plateau, east of Lake Ontario and north of Rome. 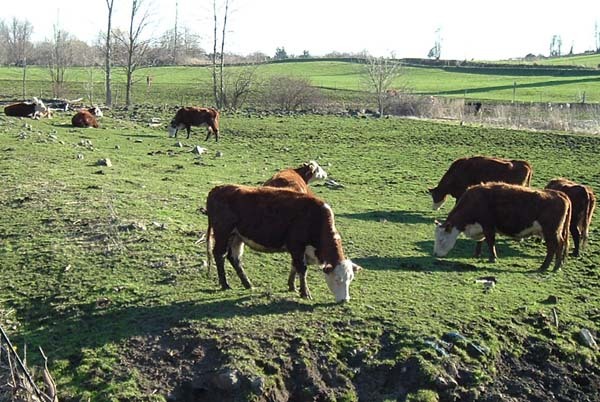 Much of New York is a rural state, especially in Central and Western New York, and the North Country near the Adirondacks. The famous skyline of New York. This is the most population part of the state, with over 8 million total residents according the 2000 census. 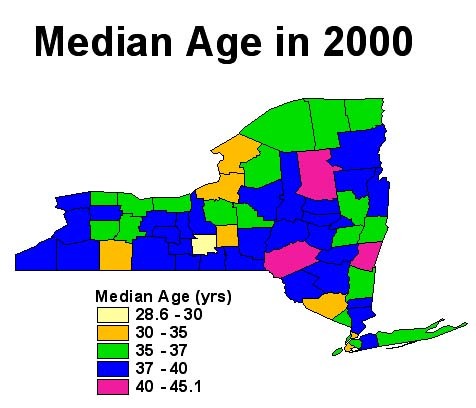 The population of New York has been aging over the last few decades. 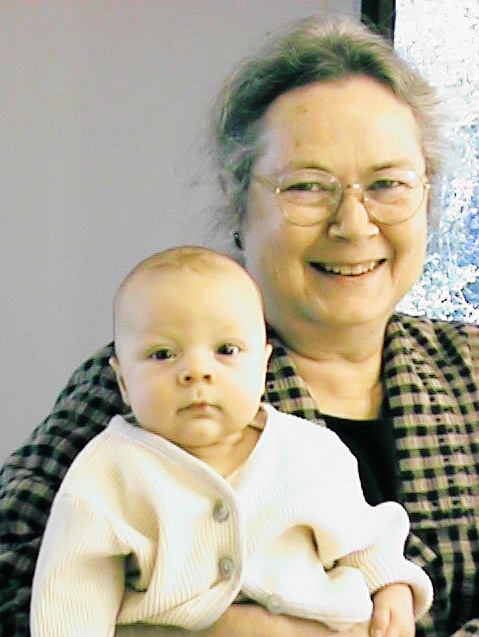 Family sizes seem to be stable around three, although urban areas tend to have larger families. 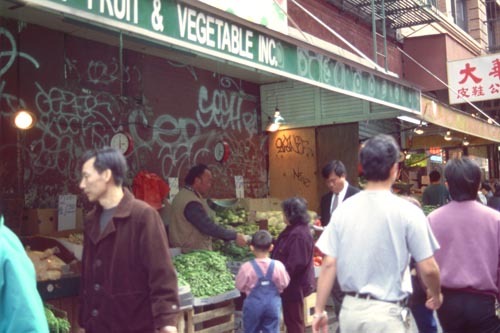 One aspect of New York's diversity is in its population characteristics. 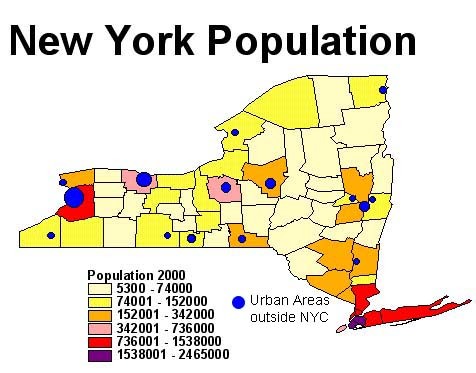 The largest number of New Yorkers live in and around New York City, but there are important urban centers Upstate as well. 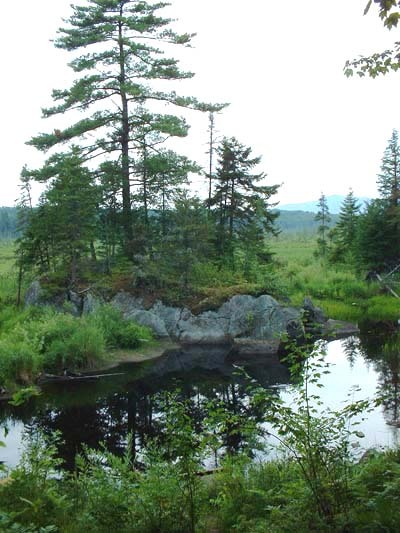 The least number of people live in the mountainous regions (Adirondacks and Catskills). Those areas in yellow indicate regions of large rural populations (farms and small towns). Despite what many people believe, the two most populated counties are the boroughs of Brooklyn and Queens...not Manhattan. 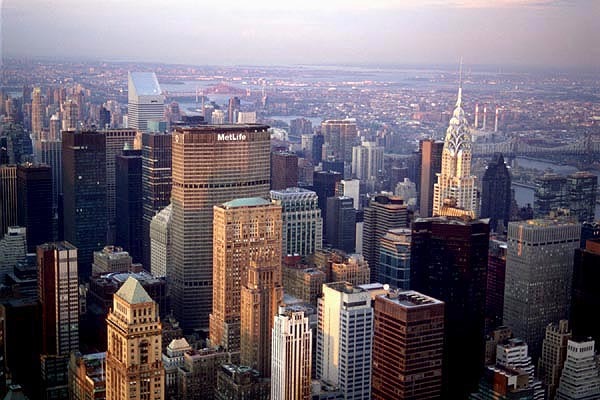 New York has a relatively old population, averaging around 40 years old. The youngest county is Tompkins (light yellow), due to its large student population at Cornell University and Ithaca College. Generally urban counties are younger than rural ones, but there are several exceptions (i.e. Erie County). One concern in New York today is the flight of young adults looking for employment in other parts of the country. 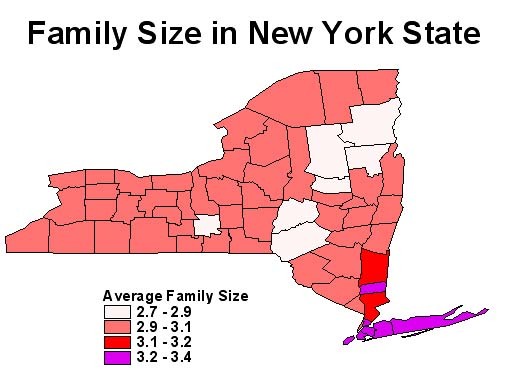 HOW LARGE ARE NEW YORK'S FAMILIES? On a related topic, the size of families in New York is generally around three people. 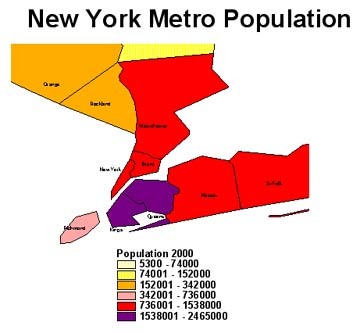 The largest families are in metro New York and Long Island. Small families (or single adults) are more common in the mountainous regions and the college community of Tompkins County. Go to the next section!